The speed of Glo 0.0k free browsing 2017 has just been tweaked up by the latest version of Tweakware vpn. Normal free browsing settings, when tunneled with Tweakware usually have a maximum of 700kb/s Speed but I was able to remove the throttled speed and get over 2mbps. This new tweak does not disconnect and I was able to get the super speed during the test with a Free Server. UC mini handler cheat is still connecting with the latest working proxy but this version of Tweakware offers a stable and very fast speed on Glo 0.0k cheat. If your Glo 0.0kb free browsing tweak has stopped working in August 2017, check the steps immediately after this tutorial to change the proxy server and continue browsing. 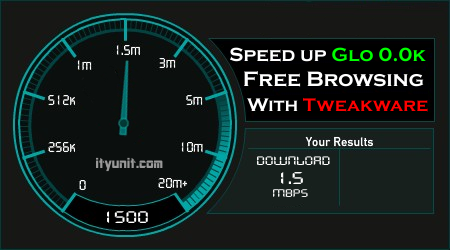 How to Setup Glo 0.0k Unlimited Speed On Tweakware VPN. Once you get the notification "you are using data Pay As You Go to browse. ", turn ON Airplane Mode ✈ for a few seconds and turn it OFF again to the Normal Mode. 5. Now Go back to The App front and select CUSTOM and Click Connect. Follow the steps below to restore back your glo 0.00kb free browsing cheat or tweak. Open your VPN (AnonyTun, Psiphon, UC mini, Tweakware etc) which you use to connect your Glo Unlimited free browsing. Then go home and connect. If you can observe very well on my above screenshot for Glo 0.0k on Tweakware has clocked over 1.05mbps on the speedtest. If you use the same Tweakware settings, you will get the same super speed on Glo 0.0k free browsing with Tweakware. 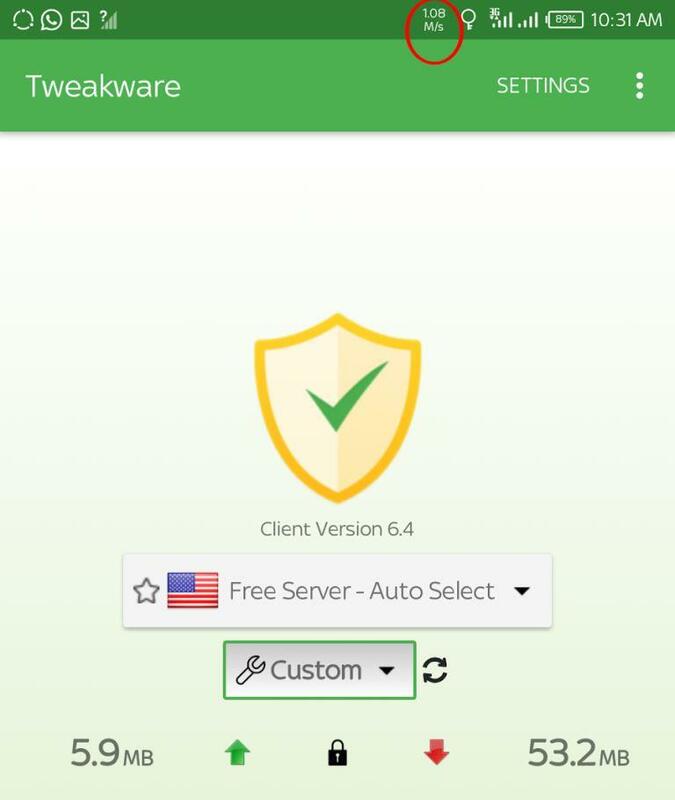 Tweak you used is the free version or premium version? 3. Did you select free server and "Custom" on the Settings? Why isn't it working for me, even when I did all the steps? Who dey impersonate me here ? Wch Miles be this one ? Shey u see, export ur tweak nd share the twk file, let's see if it fixes things. It connects when I chose Glo 0.0k on the homepage instead of selecting Custom. pls add me in your whatsapp group. Please add me on whatsaap group, thanks tho...nice work but its limited to 350mb per day...can't it be unlimited? pls, add me up on d group. Please brother, add me too on ur whatsapp. Please add me to your whatsapp group. 08154042536 thanks.